When you name the most famous wine regions around the world, the Czech Republic will not be among them. A possible explanation for this is quantity, not quality. Czech winemakers are able to produce just one-quarter of our annual wine consumption. Thus, as we don’t export much wine, it is difficult to find Czech wine abroad, so people just don’t know about it. 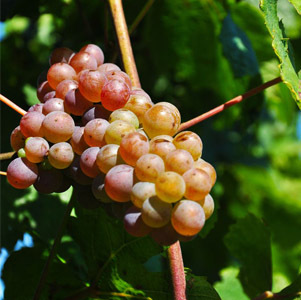 When it comes to quality, thanks to the specific soil and climatic conditions, every type of wine produced in the Czech Republic has its own unique flavour, freshness and distinctive aroma. The high quality of Czech wine is regularly recognised by the awards received in prestigious international competitions. A full day tour of two or three cellar doors offering a variety of wine styles . 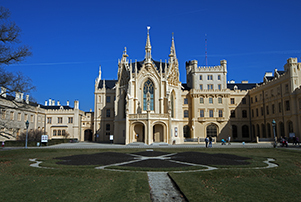 Additionally to it, we will visit Lednice or Znojmo for sightseeing. 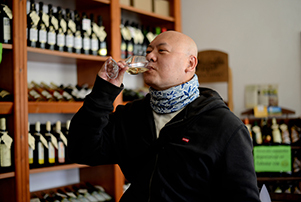 Book your tour with us for the unique opportunity of tasting delicious Czech wines! Are you travelling with family or friends and want to reserve a private tour just for your own group? Please ask us for a private tour based on your tour needs and taste buds: just you and your friends on a day tailored to you. Although our speciality is wine-tasting tours, our clients often ask us to organise a private day trip to other interesting sites and towns in the Czech Republic and beyond. 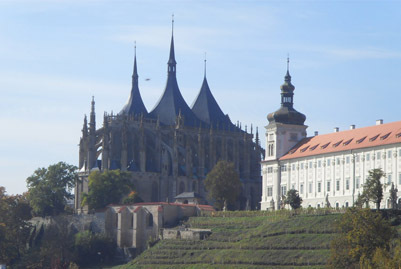 Examples include Český Krumlov, Kutná Hora, Hluboká Castle, Regensburg (Germany), etc. We are happy to provide you with a custom-made Itinerary and Proposal — please contact us with your specific requirements. Czech Wine Tour © 2015 | Terms & Conditions.